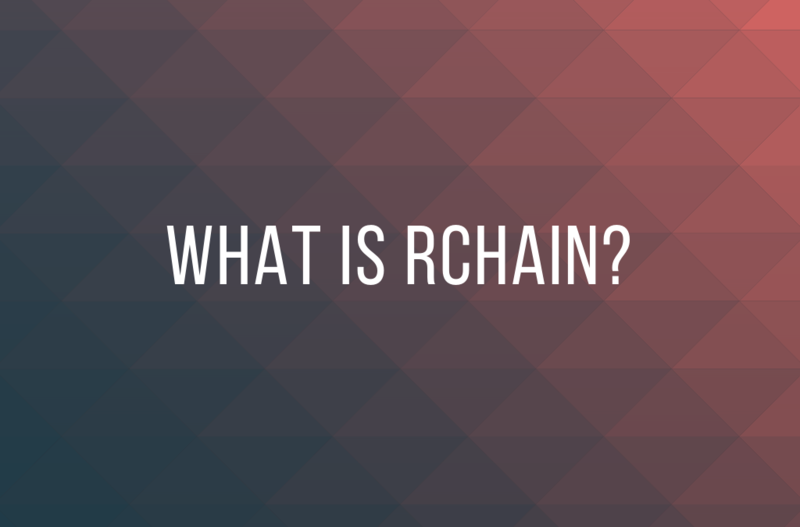 RChain is a blockchain cooperative building a scalable, economically-secured, concurrent blockchain platform. By the end of this post, you’ll have a good idea of what that means. What’s a blockchain? Many consider it the next generation of the internet. A blockchain is a means for storing data, sharing information, and securely logging transactions in a virtual, decentralized place. When a blockchain is fully “decentralized,” no single entity, government, bank, or corporation owns or controls it, so no single entity can exploit it without your permission, consent, and knowledge. Why is that important? Ask yourself if you trust corporations and banks to own your data. Recently, Bank of America was caught freezing assets of its customers due to questionable citizenship concerns. In decentralized systems there is no need for blind trust; the risk of abuse is removed. Although blockchain is a new technology, it’s already being used by millions of people to transfer cryptocurrencies, such as Bitcoin and Ethereum. You’ve probably heard of Bitcoin because it was the first blockchain platform to allow people to send a virtual currency directly from one person to another (peer-to-peer). After Bitcoin, Ethereum was the first blockchain platform to allow people to create smart contracts and build decentralized apps (dApps). This opened the door for all sorts of industries outside of finance to be disrupted; the need for expensive middlemen (such as banks) to facilitate transactions or agreements between parties is being eradicated. In the wake of this movement, a new generation of dApp developers is targeting bureaucracy-heavy industries, such as the storage and transmission of medical information and election security. Just like every cell holds a copy of the DNA for your whole body, each computer (node) on a blockchain holds the hashes (the unique code attached to each block) for the whole blockchain. In other words, each computer needs to agree on the contents of the whole blockchain at all times. If one doesn’t agree it is quickly realized by the other validator nodes on the network, making blockchains nearly impossible to hack. Without getting too far into the complexities of potential blockchain threats and attacks, the decentralized nature of this technology makes it more secure than centralized systems that can be corrupted from a single place, such as the servers of Facebook. For a simple example of how consensus works in RChain and bad actors are penalized, watch this video by RChain community members below. Bitcoin and Ethereum undeniably provided groundbreaking technologies to the world. RChain is attempting to advance existing blockchain technology by building a scalable, secure, and concurrent blockchain which will utilize a Casper PoS to help harden its security. At this moment, Bitcoin and Ethereum are “proof-of-work” blockchains. Proof-of-work requires work (equations) to be solved in order for a transaction to be validated. Whoever solves the equation fastest receives a financial reward. Proof-of-work protocols have been criticized for using too much energy. It takes too much computing power to validate transactions that occur around the world on a blockchain, especially when the transactions are validated sequentially. On the other hand, RChain is building a proof-of-stake blockchain, which requires putting up a stake (or bond of money) that you risk losing if your validator node does something wrong. Proof-of-stake is more energy efficient, which is important during a time where everyone is feeling the disastrous effects of climate change. A blockchain is enabled by a consensus algorithm. This algorithm allows distributed computer programs to agree on a value. One such algorithm would be to elect a leader who decides the value, and everyone agrees with the leader. Bitcoin proposes a new class of leaderless algorithms, where there is no leader elected, but the decider is chosen by an objectively verified proof of some computational work being accomplished. This algorithm is economically secured because people or programs who attempt to overrun the algorithm have to pay to participate. The idea of leaderless economically secured distributed consensus algorithms is a big idea because it opens the door to decentralization where no one party, be it Facebook or Google or Amazon or a governmental agency has to be trusted to control sensitive data. While the Bitcoin algorithm is a proof of existence of these kinds of algorithms, that particular one doesn’t scale. Proof of stake, which works a bit like a poker game, scales much better. While current blockchains are innovative, they are not currently able to scale; they’re not equipped to instantaneously validate large volumes of transactions the way that the networks of Visa and Facebook can. To solve this problem, Greg Meredith developed a type of calculus called Rho Calculus that allows for concurrent processing of transactions, which is much faster than the sequential processing of transactions. Rholang is another RChain innovation, a programming language used to write smart contracts. These smart contracts can execute almost any function, transaction, protocol, or action. Once a smart contract is written in Rholang, it’s easier to read, more difficult to run with mistakes, and harder to hack in comparison to other smart contract languages, such as Ethereum’s Solidity. The new Casper proof-of-stake consensus model, Rholang language, and the Rho Calculus are among the many innovations that allow the RChain network to operate at speeds many orders of magnitude faster than Bitcoin and Ethereum. Such speeds are necessary for millions of people interacting with the RChain network once main net launches, when the co-op expects to be able to process 40,000 comm events per second. What does RChain hope to achieve? RChain is currently in test net and will be launching main net in Q1 of 2019. RChain aims to create a blockchain that enables collective intelligence and coordination in ways previously considered impossible. Hopefully, this scaffolding will allow for healthy conflict, variety, and diversity to coexist, sharpen collective intelligence, and bring the best and boldest ideas to light. RChain also aims to facilitate social coordination that will allow human beings to survive the impending difficult landscape ahead. Resource scarcity, climate change, environmental mass migrations, and other challenges will require advanced levels of cooperation. Give that we must rise to the occasion, RChain is prepared to deliver a blockchain that can support these efforts at the scale and speed required. How can you get involved with RChain? Special thanks to Leah McKelvie, Jeremy Beal, Ned Robinson and Greg Meredith at RChain for contributing to this article.